Guthrie Theater's Sarah L'Heureux is headed to Hutchinson for the Minnesota Pottery Festival. The festival takes place in an open field and features the work of 35 different potters. 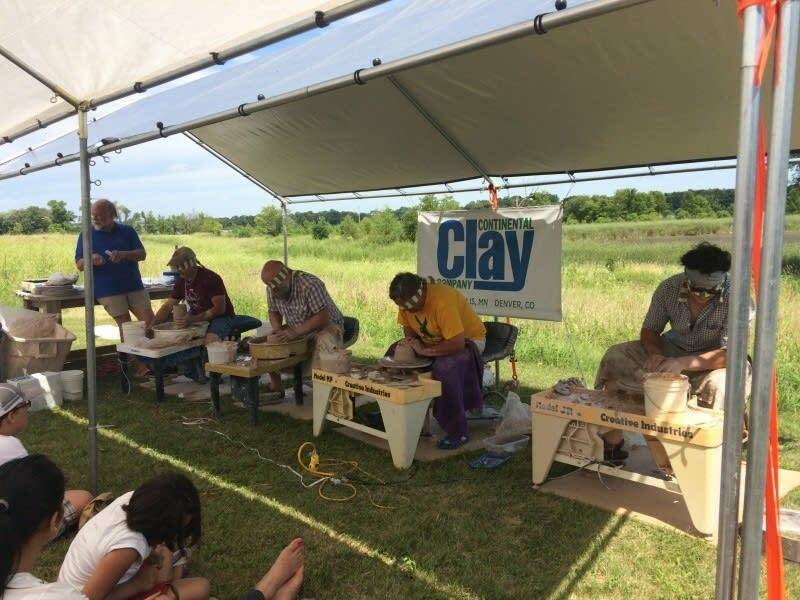 There's also a "Pottery Olympics" — potters will attempt to throw clay on a potting wheel while blindfolded and will compete to make the widest bowl out of 5 pounds of clay. Kate Hujda, assistant curator for the Performing Arts Archive at the University of Minnesota, is looking forward to the Loring Park Art Festival this weekend. She says it's one of her favorite festivals, mainly because of its setting in a beautiful oasis in the heart of downtown Minneapolis. She says there's lots of art for any budget, plus concerts and shows to keep you entertained all day long. The festival takes place Saturday from 10 a.m. to 6 p.m. and Sunday from 10 a.m. to 5 p.m. Looking one week out, Hip Hop music and dance producer Maia Maiden recommends you check out "Listen" at The Lab Theater in Minneapolis. The show features 10 emerging choreographers who celebrate the African diaspora through movement. Maiden says she's impressed by these young people who are creating space for themselves and lifting up each other's work. Performances are Aug. 3 and 4 at 7:30 p.m.